Empowered by the Holy Spirit! 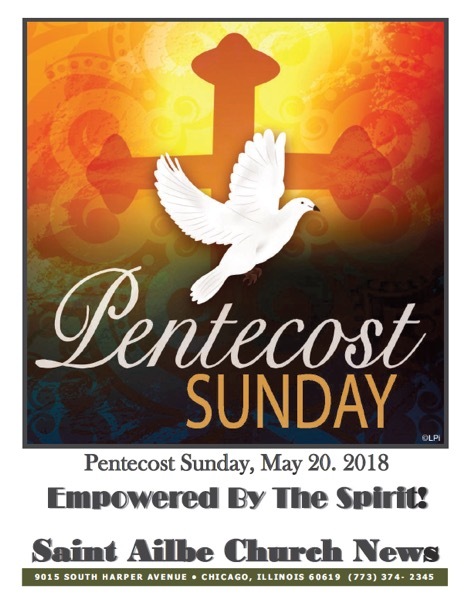 The promise of Jesus, to send the Holy Spirit, is fulfilled today, on this day we call Pentecost. The sending of the Spirit upon the followers of Jesus so changed them and their focus that we now call this day the Birthday of the Church! They were empowered with the gifts of the Spirit and began to spread the Good News, a Good News that broke through language and culture. The mission is now ours — with the Holy Spirit, to renew the face of the earth! The Blessed Three In One!